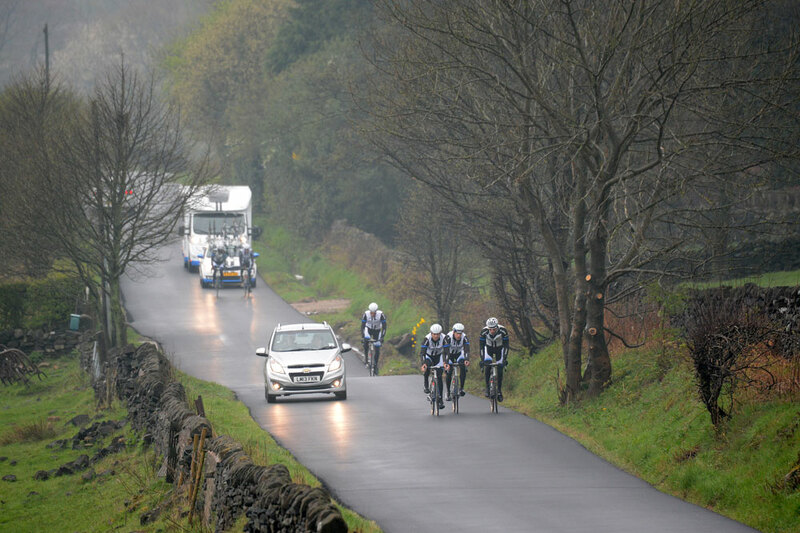 Members of the Giant-Shimano team took to the roads of Yorkshire on a damp Tuesday to recce the lanes and climbs used in the opening stages of the 2014 Tour de France. Four-time 2013 Tour de France stage winner Marcel Kittel was in attendance, no doubt hoping the recon will give him the knowledge to upset rival Mark Cavendish’s aim to take stage wins and the yellow jersey when the race starts in Yorkshire in July. Cycling Weekly photographer Andy Jones caught up with the team, including Kittel, Degenkolb, Tom Veelers, Koen de Kort, Albert Timmer and Bert De Backer, as they rode the final four climbs of the nine classified ascents of stage two between York and Sheffield. Timmer (Left) gets a bite to eat up Cote de Midhopestones. Kittel bluffs a battle with the gradient. De Backer head down and De Kort smiles his way up. Climbing the Cote de Midhopestones out of Midhopestones village. The riders then descended down off the climb to Ewden Bank, the 25% hairpin in the “Strines” road. 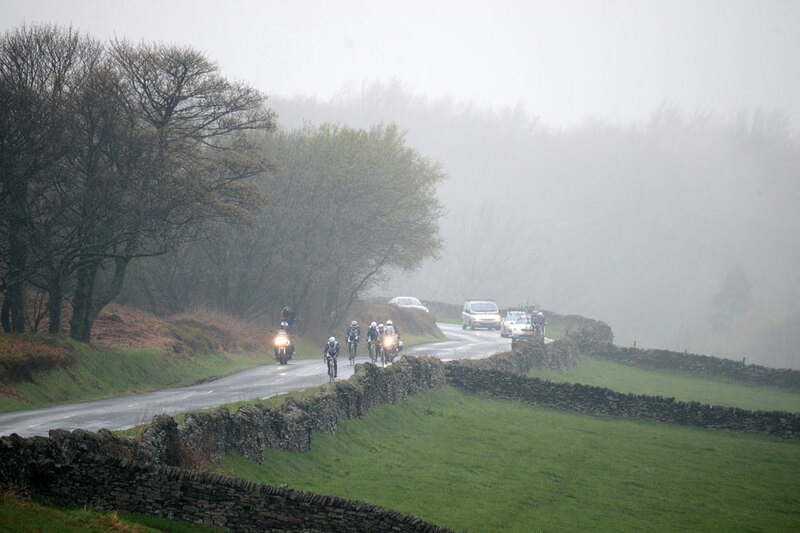 I gave the riders a warning of what lay ahead with the damp conditions making things greasy in places. Climbing the last section out of Ewden Bank after the 25% descent to the hairpins where Boonen and Russ Downing crashed in the Tour of Britain in similar damp conditions. Climb out of High Bradfield. The climb out of High Bradfield. Veelers on “Jawbone” Cote de Oughtibridge. 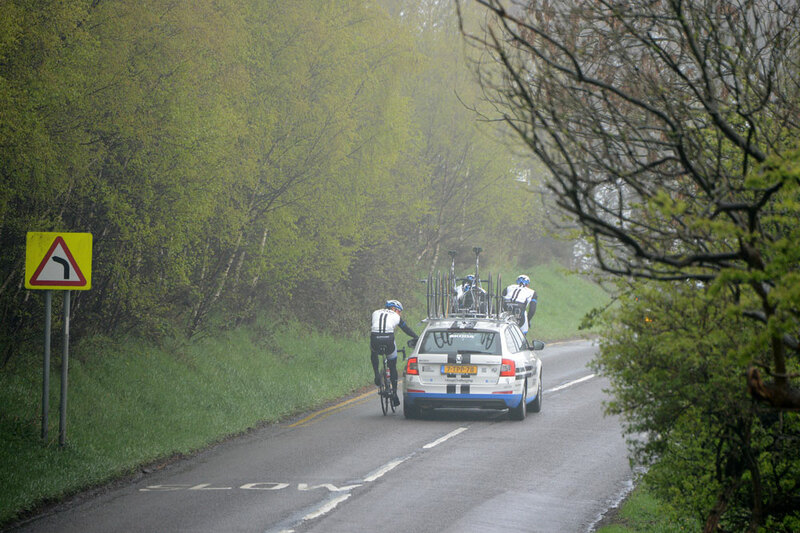 De Kort gets a tow up Cote de Oughtibridge. 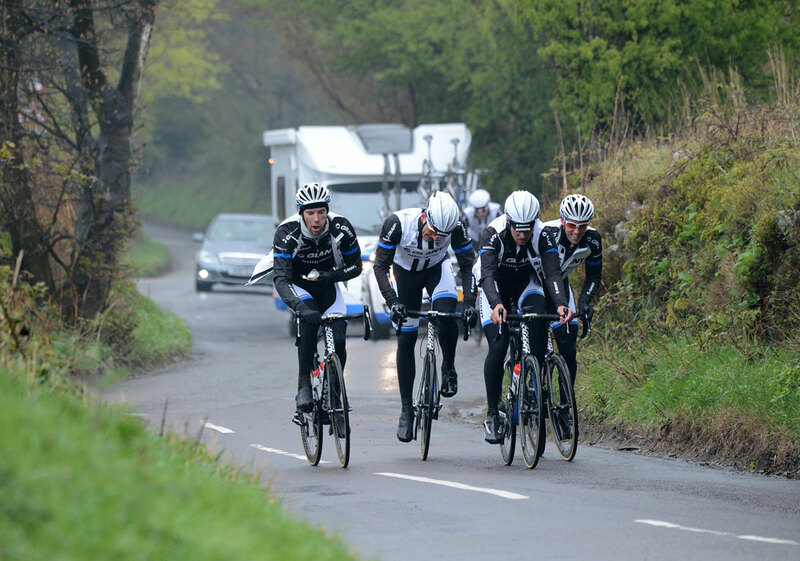 Kittel, Timmer & De Backer on “Jawbone” Cote de Oughtibridge. 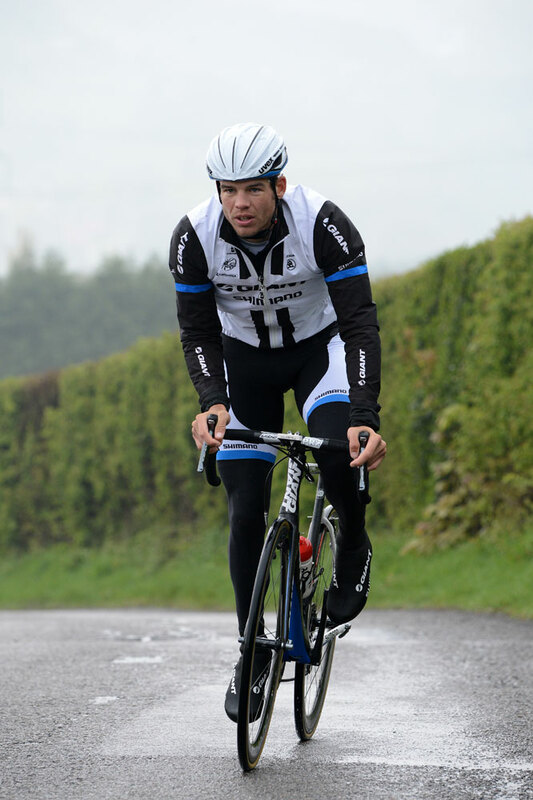 Degenkolb on “Jawbone” Cote de Oughtibridge. Top of “Jawbone” Cote de Oughtibridge. 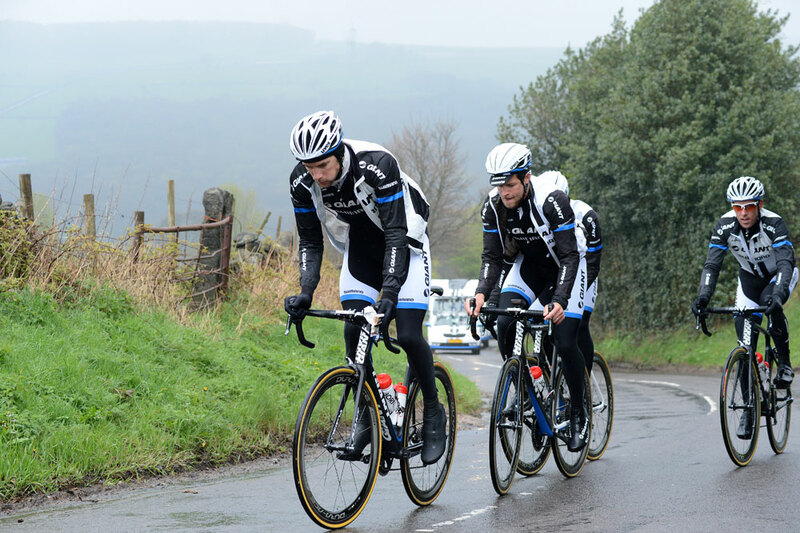 De Kort and Kittel on Jenkin Road. You can see the Arena in the background – the stage finish. 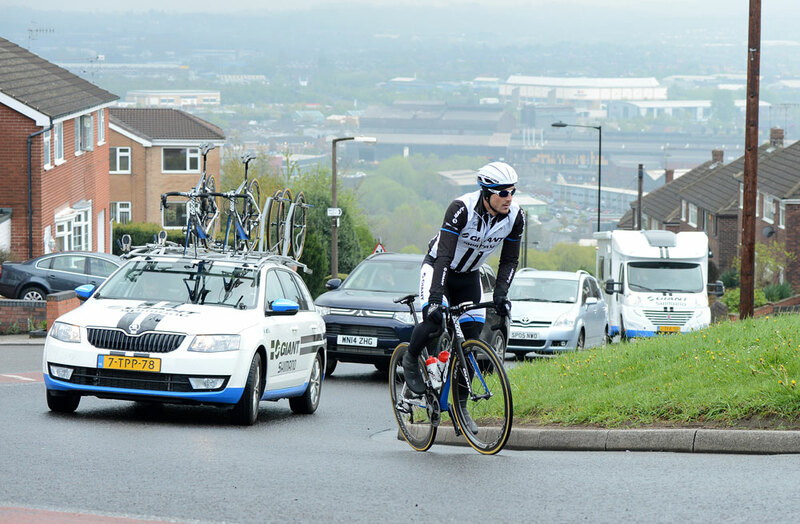 Degenkolb passes TV cameraman near the top of Jenkin Road.